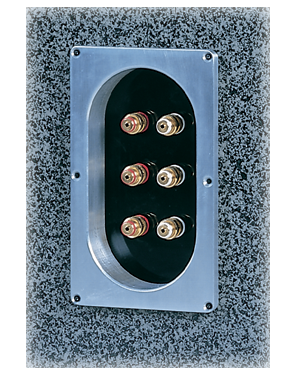 Status loudspeaker enclosures are formed from a multi-fiber composite material featuring a beautiful natural stone appearance. 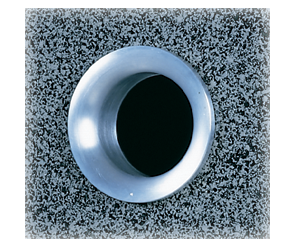 The acoustic damping properties of this material are far superior to conventional loudspeaker cabinet materials. Using composite material prevents unwanted acoustic energy storage, greatly reducing any chance of audible cabinet coloration. The result is music cleanly reproduced by the drivers, not the enclosure. Status loudspeakers use proprietary metal-cone drivers to produce bass and midrange frequencies. Due to the metal cones’ ultra-rigid nature, there is less cone flex and breakup occurring compared to conventional cone materials. The metal cones reproduce sound with near ideal pistonic motion, resulting in unsurpassed detail and transparency. High frequencies are reproduced by a magnetic fluid cooled tweeter featuring exceptional power handling and excellent dispersion characteristics. The integration of these separate components is governed by a computer-optimized crossover, allowing Status loudspeakers to reproduce sound with vivid imaging and a lifelike sound stage. Status loudspeakers incorporate design techniques and materials that push the edge of audio technology. The end result is loudspeaker systems both musically accurate and emotionally moving. Whether your preference is the realistic impact of an explosion, or a symphony orchestra's portrayal of Stravinsky, the award-winning Status loudspeakers will be an integral part of taking you there. Our company mission is to produce speakers and audio products to serve as a reference standard for both the audiophile and the high-end home theater enthusiast. Status Acoustics speakers are not mass-produced, each is hand-assembled and thoroughly tested to meet the strictest of quality and performance standards. When coupled with state-of-the-art electronic components, our speaker systems are capable of providing an unparalleled listening experience. from solid aluminum to achieve visual balance. Copyright © 2017-2019 Status Acoustics. All rights reserved.